CHICAGO — Crispin Cider Co., known for its portfolio of ciders made with fresh-pressed apples and pears, has declared that in 2018, the popular phrase “rosé all day” becomes “rosé all year” with the introduction of its latest offering, Crispin Rosé. 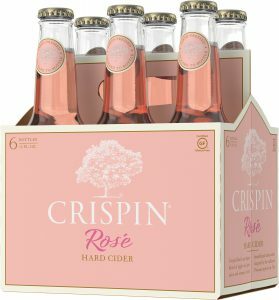 Crafted with real rose petals, hibiscus, and an elegant blend of fresh-pressed juices made from hand-picked apples and pears from the Pacific Northwest, Crispin Rosé is available nationwide in six-packs of 12-ounce bottles. Beginning in March, Crispin Rosé will also be offered on tap at select locations. Crispin Rosé is crisp with a dry finish, featuring a dusty rose color and a light floral aroma of rosé wine. Combining the refreshment and crispness of a cider with the beauty of rosé, Crispin Rosé is an easy to drink option for both wine and cider lovers alike. In addition, Crispin Rosé comes in beautifully designed, modern packaging, serving as the perfect option to bring along to social occasions like brunch or nights in with friends. To celebrate the launch of Crispin Rosé, the company will host a kick-off event Saturday, February 24, in New York City, bringing a rare summertime moment to an otherwise wintry day. Hosted at a popular Manhattan rooftop bar with heated domes, the event will feature Crispin Rosé, brunch bites, music and more. 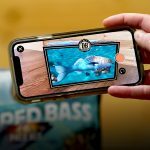 In addition to the launch, Crispin Rosé will be supported with a national campaign, including traditional and digital media efforts, in-store sampling events and public relations. Drinkers are encouraged to share how they #RoséAllYear by following @CrispinCider on Instagram. For more information and to find Crispin Rosé and other brands within the Crispin Cider portfolio near you, please visit https://www.crispincider.com/.